What's In Your Yogurt? | Winners Drink Milk! For thousands of years, people have nourished their bodies with the creamy, nutrient-rich power of yogurt. The yogurt aisle continues to expand as the cultures of the world share their unique styles. With so many new options to choose from, wouldn’t it be nice to know what the subtle differences are? Dietetic Intern Adrianne Damler takes a look at what’s in your yogurt. Greek yogurt has been strained more than traditional yogurt we would find on the shelf. This leaves the product thicker and higher in protein. When eaten plain it tastes tangier because some of the natural sugars (called lactose) were lost with straining extra liquid. 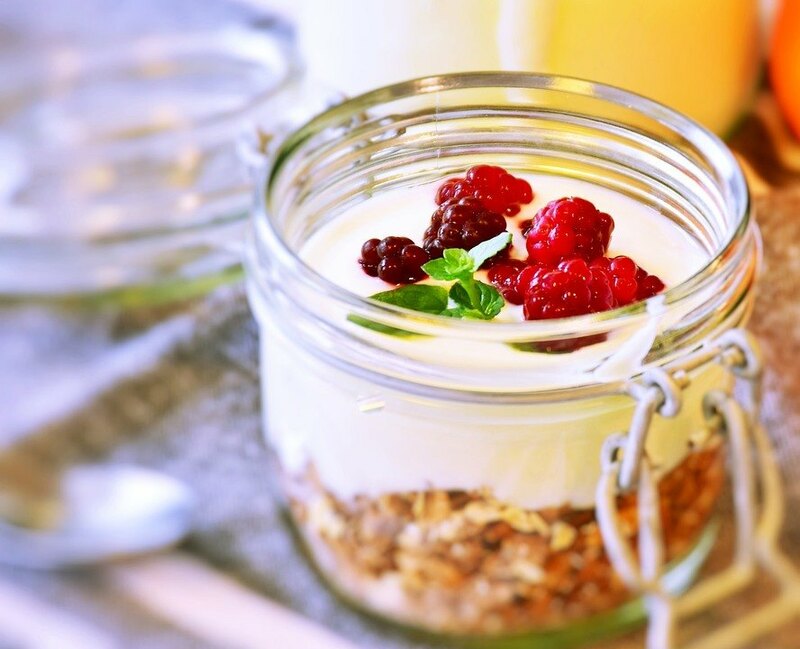 Because there is less lactose in the yogurt, it can be a better optional for people who struggle with lactose intolerance but want to eat yogurt. It is a great substitute for savory foods. You can use it to top tacos or add it to soups for a slight tangy flavor. It can be used in most places that you would have mayonnaise or sour cream! Skyr is an Icelandic style dairy product, technically classified as a fresh curd cheese. It has similar texture and flavor profile to Greek yogurt, however different cultures are used to make it. These different cultures make it rich and creamy without being too tart. It takes 4 cups of milk to make 1 cup of skyr. In Iceland skyr is most often used in desserts. Try it with some fresh berries and a crumbled cookie or graham cracker for a sweet treat! It is traditionally made with whole milk and sweetened with honey. It is often eaten with pureed fruits. It has a similar thick consistency to Greek yogurt but is creamier and not too tart because of the honey. It is also great to eat as a dessert because of its creamy, slightly sweet flavor. Non-dairy yogurt comes from different sources just as non-dairy milks. These products are appropriate for people who are allergic to dairy products. There is soy yogurt, coconut milk yogurt, almond milk yogurt, and so on. As with all flavored yogurts, it is important to be aware of the added sugars in the non-dairy yogurt as well. It is also important to know that non-dairy yogurt products will vary in amount of protein, vitamin D, and calcium when compared to cow’s milk yogurt products. These nutrients are frequently supplemented because they are not naturally found in high amounts in the non-dairy options. Frozen yogurt is a sweet, frozen dessert that is similar to ice cream. The benefits of eating frozen yogurt instead of ice cream are that it is usually lower in fat and it tends to have a tarter flavor. Because it is made from yogurt it might be viewed as a healthier option, however it should only be consumed in moderation just the same as all foods. Frozen yogurt has added sugars to make up for the flavor lost from the lower fat content. Kefir is a fermented milk product that tastes like a drinkable yogurt. Because of kefir’s unique fermentation process, it can have different strains of probiotics than what is traditionally found in other yogurts. Other uses would be to make a creamy salad dressing with it or to use the plain variety as a substitution for buttermilk in recipes. No matter what style of yogurt you prefer, it is all considered a great way to get one of your three daily servings of dairy. One serving of yogurt is 8 ounces, or one cup. All yogurts, especially in their plain low-fat variety are part of a healthful balanced diet. Want more info? Learn 7 ways yogurt can help fuel your body, along with some tips to cook with and swap this protein powerhouse into everyday recipes.